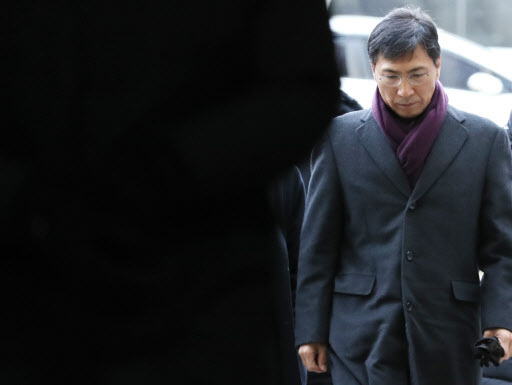 The prosecution on Wednesday sought a four-year jail term for former South Chungcheong Gov. An Hee-jung in an appeals court hearing over his sexual abuse charges, following a lower court's not-guilty verdict last year. An, once considered a potential presidential candidate of the liberal bloc, was indicted in April last year on charges of having sexually abusing his secretary multiple times between August 2017 and early last year. The case was brought into the open after Kim Ji-eun, the secretary, made the revelation in a cable TV news interview in February last year, which led to other similar allegations by women claiming to be victims of sexual violence by influential men in South Korea's Me Too movement.